Romain-Olivier started playing cello in 2009, when he was 6. In 2015, he began his studies with David Hardy. 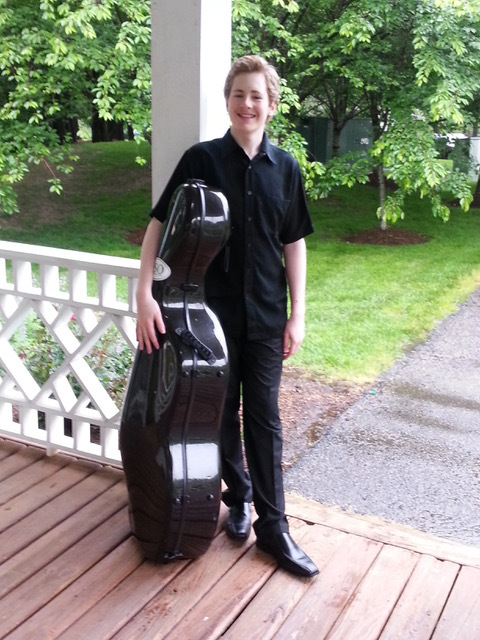 He plays in diverse orchestras and chamber music ensembles and he loves being a part of the National Symphony Orchestra Youth Fellowship Program. Romain-Olivier has been a first prize winner in several competitions such as the 2019 Richmond Symphony Student Concerto Competition, the 2018 NSO Summer Music Institute Competition and the 2018 Feder Memorial String Competition. Romain-Olivier performs as a soloist for various events as well as with orchestras such as the Old Bridge Chamber Orchestra, the NSO Summer Music Institute Orchestra, the Piedmont Symphony Orchestra and the Tidewater Intergenerational Orchestra. Romain-Olivier also studies piano and he is homeschooled in 9th grade in French and in English. In his free time, he swims and has competed with the pre-national group of the Occoquan Swim Team.